Hayslett Construction, LLC was founded by Kris Hayslett in 2008. After many years of working for a commercial construction company, at which time he also became a journeyman carpenter, 2008 provided many opportunities for Kris to concentrate full time on his own business. 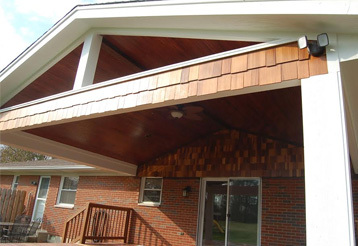 Hayslett Construction has provided home owners with high quality and affordable interior and exterior work ever since! Hayslett Construction is a complete general contracting company that specializes in custom room additions, decks, porches, garages, kitchens and bathroom remodeling. We proudly service the Greater Miami Valley and surrounding areas! Our professional and trained design team focuses on your home and construction wishes to come up with a custom design perfect for you. Hayslett Construction only uses and provides the highest quality of materials for our customers. We invite you to call and schedule a free in home consultation! Copyright © 2014. Web Design & Development by DrewskyDesigns.